Yoga increases stamina, flexibility and will improve your posture. Wear comfortable clothing which allows your body to move freely. Baggy trousers are not suitable . Wear leggings or shorts and a t-shirt. It is important for me to be able to see how your legs and feet are working. Are the classes for everyone? Yes there is a good mix of male and female participants. I’m not flexible will I still be ok to try yoga? 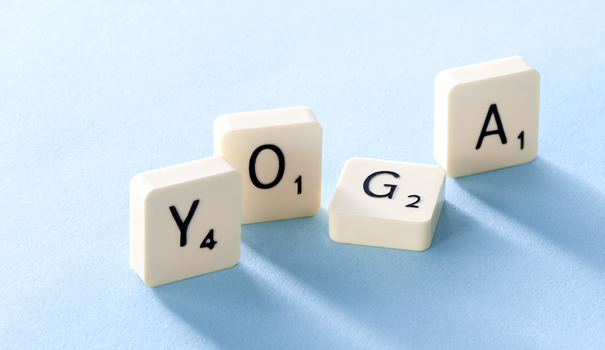 It’s a myth that you have to be flexible to do yoga. Yoga the Iyengar way is taught with the aid of props so that all students can quickly make progress and feel the benefits. Is it ok to eat before attending a yoga class? Students should allow at least four hours after a heavy meal or two hours after a light meal before practising yoga. Easily digestible drinks and snacks can be consumed closer to the start of class. Can I come if I’m pregnant? The class I teach is not suitable if your pregnant. The yoga postures help to release tension in the body. After the main yoga poses are completed a relaxation session will take place at the end of each class.